Rush Pasture can also be found on poorly drained parts of reclaimed colliery tips such as Barrow and Cudworth common. 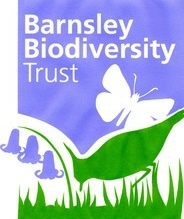 The areas within Barnsley are possibly not classified as pure Purple Moor Grass and Rush Pastures but are important locally. For consideration as a Local Wildlife Site in its own right, Rush Pasture needs to be over 0.5ha in area and score 12+ from a list of key plant species. Rush Pasture may also be considered because of the populations and assemblages of breeding waders, or other key species. Not all species-rich areas of rush pasture have been designated as local wildlife sites. Although some Rush Pasture may be found within the Dark Peak SSSI, it is more likely to be classed marshy grassland within Upland Flushes, Fens and Swamps. There are a number of Local Wildlife Sites with Rush Pasture present often in in a mosaic with other habitats. 21 Falthwaite and Lowe wood?